We all have our weakness and mine is definitely ice cream. I love the big selection you can find in New York and in my local Whole Foods there is a wide range, which can take time to decide on. I prefer Italian ice over the creamy ones and, of these, my favorite brand is Talenti. They have a Sea Salt Caramel version with chocolate covered caramel truffles that is to die for. 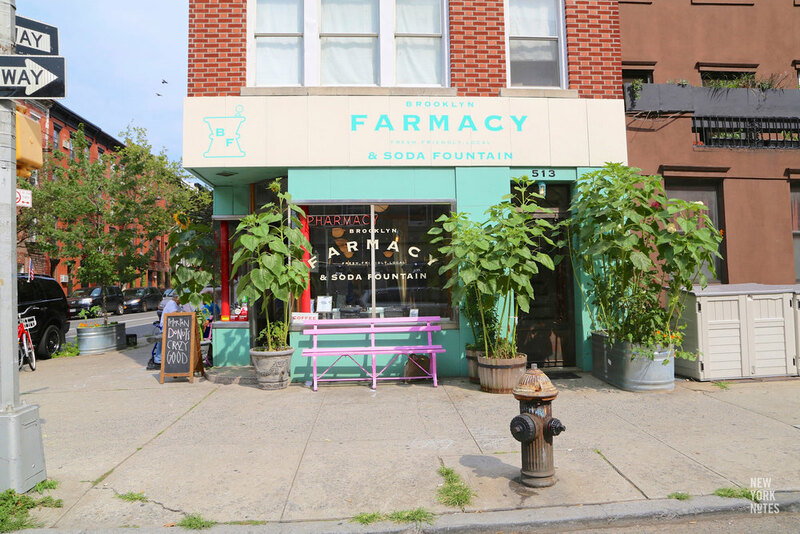 Brooklyn Farmacy & Soda Fountain is an ice cream parlor housed in a 1920s apothecary store — once a thriving neighborhood pharmacy — on the corner of Henry and Sackett Street in Carroll Gardens. It brings back the American tradition of "soda fountains”, which were common from the end of the 19th century through the middle of the 20th. These were small restaurants, or "lunch counters”, often inside drug stores, where ice cream and light meals were served with carbonated beverages. The fountains dispensed carbonated water, or "seltzer” to which the “soda jerk” added various syrups. When around in Brooklyn it is a treat to stop by Brooklyn Farmacy for a sundae or milkshake.